The Faroe Islands are one place that I just can’t stop raving about. It has been ten months since I traveled through these beauties of the North Atlantic, but I have so many untold stories, travel tips, and questions to answer about my travels there. By the time I get everything posted about the Faroes, I will likely have made a return trip or two there. Anyway, it is really difficult to know what to expect in the Faroes for someone who has not stepped foot on its lush, sheep-poo filled soil. Once you’re there, everything is a bit easier to wrap your head around. And once you leave, you will be longing to learn more about these secluded and wondrous islands. 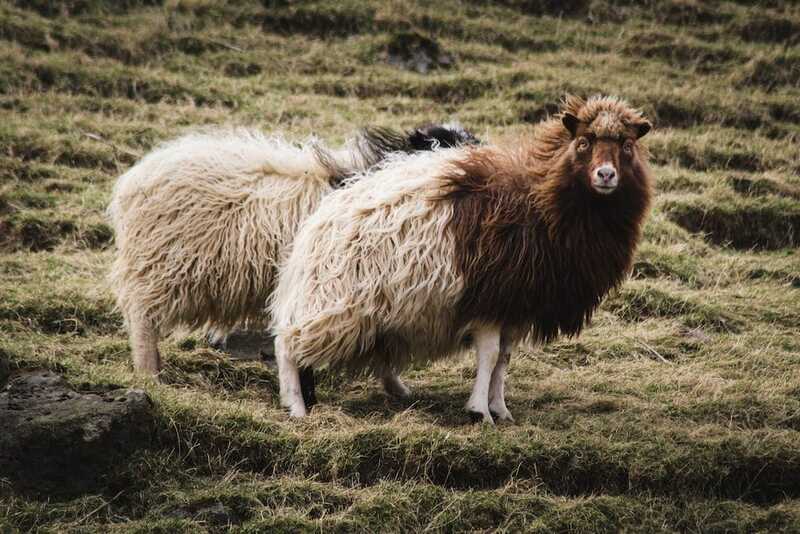 These are 30 useful things to know before you travel to the Faroe Islands. Some of them are facts and some are just my observations and experiences. Please feel free to leave comments with some of your tips and suggestions if you’ve traveled to the Faroe Islands! There are over 77 nationalities inhabiting the Faroe Islands. When I was there, I met people from all over residing in the Faroes… from Ukraine to Thailand to France. While a lot of the diversity comes from students, seasonal workers, and bar staff, there is also a demand for women there as the islands have a shortage. When I was in Torshavn, I discovered that Mikkeller Beer was opening a bar there right after we left and they posted applications publicly so that they could attract applicants from all over the world. I am curious to check out their new bar someday to see how diverse their staff is (and to consume some of their world-famous beer). Long gone are the days where the Faroe Islands were inaccessible. Now, you can fly directly from Edinburgh, Reykjavik, or Copenhagen on Atlantic Airways straight to Vagar Airport. 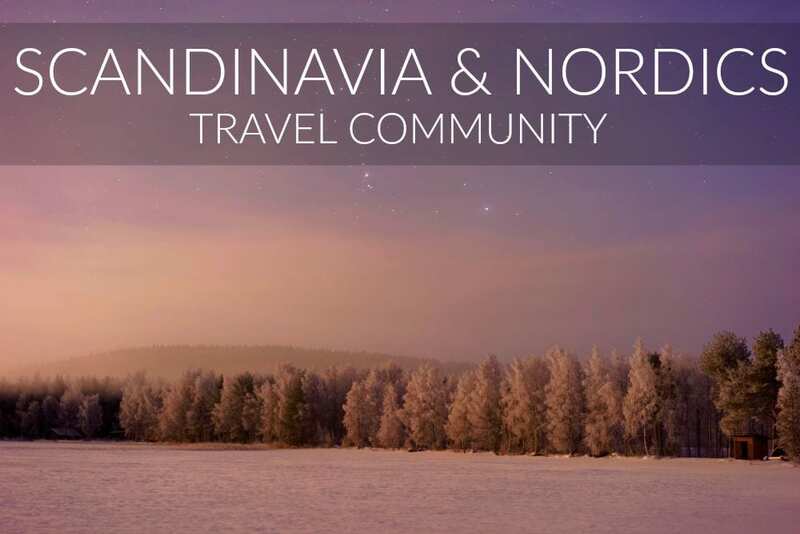 You can also fly directly from Copenhagen with SAS to Vagar Airport. These flights to the Faroe Islands are year round and I think I paid a little over $100 for my round-trip ticket from Copenhagen to the Faroe Islands. I was so shocked at how affordable the prices were. From Hirtshals, Denmark, you can take a ferry to the Faroe Islands from the European mainland. While this isn’t my cup of tea, it still is a nice alternative for those who are perhaps afraid of flying or want to try something a little different. You can also take your car on here, so it is a viable option for those who don’t want to rent a car in the Faroe Islands (FYI- rentals are cheaper than you’d expect there). During the summer months, travelers will find two options a week and it decreases to one option a week during the winter months. These will be on the Norröna ship and the journey takes about 37 hours. This journey also continues on to Iceland. And you can also get it back from Iceland to the Faroe Islands. To find out more and see updated schedules, fares, and information, check out Smyril Line’s website. Scandinavia and the Nordics have a reputation for allowing wild camping or setting up to sleep wherever you please. This is not the case in the Faroe Islands (and rightfully so, in my opinion, as the weather can be really harsh in certain places and you’re never more than 5 kilometers from the sea). While there are various reasons for this rule, it must be mentioned that there are several designated places to camp in the Faroe Islands. It is also not permitted to sleep in a car or campervan randomly in parking lots, on land, or somewhere on the roads. This has been a bit of an issue from tourists who don’t do their research before-hand. It is not fair to the locals and travelers should come prepared to follow the rules of the Islands as they have been put in place for a reason. This chart shows all the designated camping sites on various islands and also displays all the amenities at each campsite. To see all updates, follow Camping.fo for additional information. Also, do note that if you are camping during the winter months, you must call and make arrangements ahead of time. Not a fan of camping? 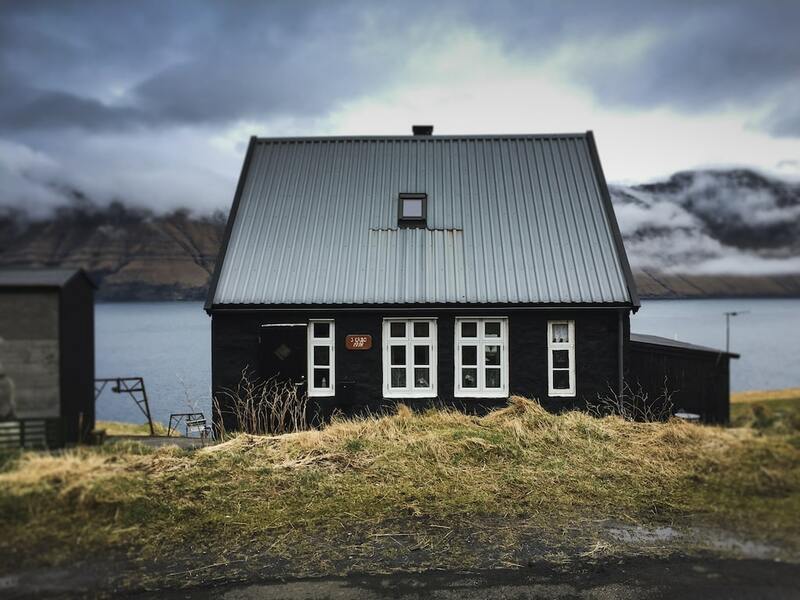 Stay in a hotel in the Faroe Islands instead! When most people think of the Faroe Islands, they have the same three images in their mind: the Kallur Lighthouse on Kalsoy in Trøllanes, the optical illusion at Lake Sørvágsvatn on Vagar, and the Mullafossur Waterfall flowing beautifully and calmly into the Atlantic in Gasadalur. But like they say in the Faroes, just wait five minutes and the weather changes. With a little patience and a good eye, you’ll be able to probably catch a good shot of the waterfall as you visit it. Just expect it to often defy gravity and blow up into the sky instead of softly down into the sea. While you wait for that perfect photo, you can actually see Mykines in the distance from where you’ll stand which is pretty cool. This affects such a small minority of us. But this was really cool for me when visiting as I was able to go there for a week and not lose my Schengen days. But yes, the Faroe Islands are not part of the Schengen zone and I am super thankful for it. Obviously, this is dependent on when and where you go. 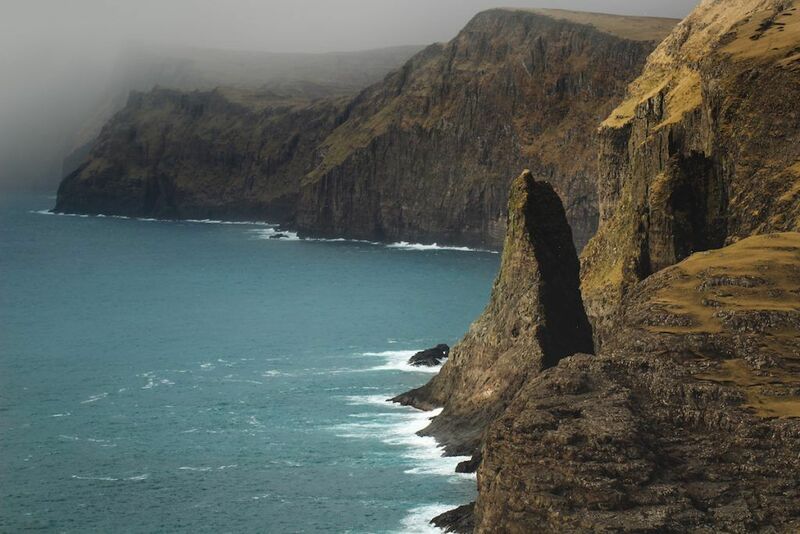 If you arrive in the Faroes in March, the likelihood that you’ll see them is basically non-existent. If you arrive in June, you have a great chance to see them if you make the effort to do so. There are puffins living all over the islands, but their colonies may not always be accessible to us humans. For example, on Kalsoy, there are 40,000 pairs of puffins, but they are located on the northern and western coasts, which are rugged and not conveniently located for humans. While many people come to the Faroes just to see the puffins, I think it is important to respect their habitat and give them their peace. There are many reasons to visit the Faroes and puffins are just one of the thousands. If you’re wanting to see puffins in the Faroes, do your research. Obviously, Mykines is prime territory for puffin sightings during the summer months, but you can also sometimes see them on Skuvoy and Streymoy and other islands. To find out more about puffin watching and birdwatching in general, click here to be taken to information, and even a downloadable birdwatching booklet. You can also look at Faroe Islands tours which go to Mykines and a lot of the dirty work is already done for you! Speaking of puffins on Mykines, you must now pay a fee to go to the island to see the puffins. Congratulations human beings for being unable to respect the animals and their habitat. I saw a video of a traveler on Mykines one time running after them while she video’ed the entire thing for her Instagram Stories. I wanted to vomit when I watched it. Anyway, the fee isn’t substantial, but things are always subject to change in the future. I am happy to see the Faroe Islands doing their best to protect the birds on this island. You can find plenty of tours in the Faroe Islands if you research well. To read more about the new guidelines for Mykines, click here. 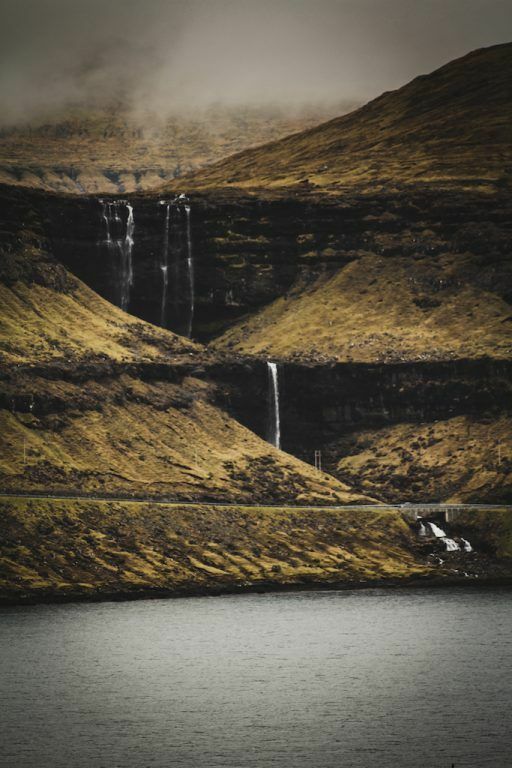 Released on April 5, 2019, it has been stated that you will now be required to pay a fee of around $67 to hike to the famous optical illusion lake in the Faroe Islands (Lake Sørvagsvatn). Click here to read more. That’s right. There are six lines that operate in the Torshavn municipality and the bus lines are free to users. I wish other places around the world used tax money for public transportation, to be honest. I think this is brilliant and I’d be more inclined to take public transport everywhere if I didn’t have to constantly purchase tickets for it. 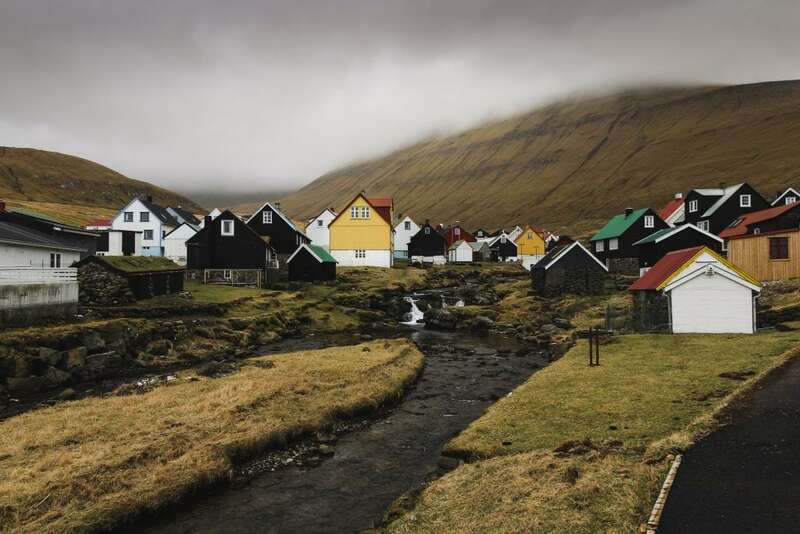 In addition, these buses also will transport passengers out to the historic city of Kirkjubøur, a must-see for anyone interested in learning more about the history of the Faroe Islands and the people that inhabit them. To see the current bus schedules for all of the lines in operation, click here. Obviously, this is an observation. But it is true! The water in the Faroe Islands is really blueish-green and is so beautiful. I expected it to be a murky blackish color before arriving and I was completely stunned when I saw how vivid it really was. There are so many photos out there that showcase how green it is, and I truthfully thought it was all photoshopped to enhance the long-exposures people had taken with their cameras. I found the water beautiful and bright almost everywhere, but it really stood out on Sandoy to me, where it appeared to be a bright blue color with a teal tint to it. Is there seriously anywhere in these islands that isn’t absolutely stunning?! When I arrived in Torshavn, I was pretty shocked to discover that despite the bar I went into for a local beer, the beers were all the same price (according to which beer I ordered). The hotel bars had the local beer priced at the exact same price as a dive bar. My favorite bar, Sirkus, had their beer priced the same, too. Of course, craft beers and imports are slightly more expensive and I am not sure if they are priced the same throughout the city (there aren’t too many bars to begin with), but I loved this as a traveler because I could choose my favorite bar based on atmosphere and its scene instead of whether or not I could afford it. 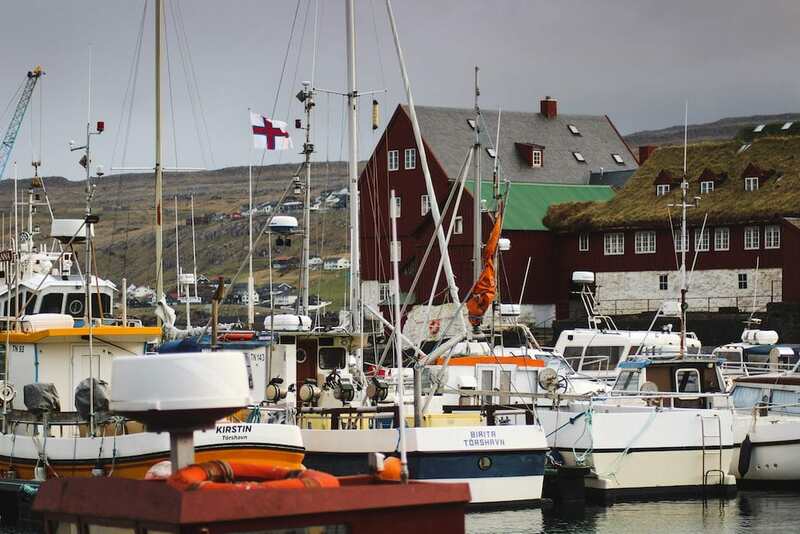 There are two breweries in the Faroe Islands: Okkara and Føroya Bjór. Both have a range of beers and Føroya Bjór also makes some soft drinks that you can easily find in the grocery shops. You will find both beers ubiquitously at bars and restaurants, alcohol license permitting, in Torshavn and the other cities and towns. In order to purchase alcohol that is over 2.8% ABV, you must travel to the nearest Rúsdrekkasøla Landsins, or state monopoly for alcoholic beverages. The opening hours are worse than banking hours, so you must really make an effort to get there if you’re looking for some local beverages while in the islands. I was really impressed at how vast of a variety they carried in the shop. There are only six Rúsdrekkasølas throughout the islands, so you need to ensure you are within a close distance of one and that it is opened. They are located in the following places: Klaksvík, Miðvágur, Saltangará, Skálavík, Torshavn, and Drelnes. The one in Torshavn is not located down by the sea, in fact, and requires a little effort, or a car, to get to. You can find out more about the Rúsdrekkasøla Landsins here. You can also purchase alcohol at duty-free at the airport upon arrival. If you’re staying at a hotel, you likely won’t be able to cook while in the Faroes. I stayed at an apartment while there and one day we decided to hit up a fishmonger down by the harbor to see what he brought in that day and how we could incorporate it into our dinner. We bought some freshly caught cod from him and the rest is history. It was super affordable and so delicious that I am still salivating at the thought of it. We bought some local potatoes and root vegetables and created a nice fish casserole with it all and it was easily my favorite meal we had in the Faroes, and we cooked it in our own kitchen there. 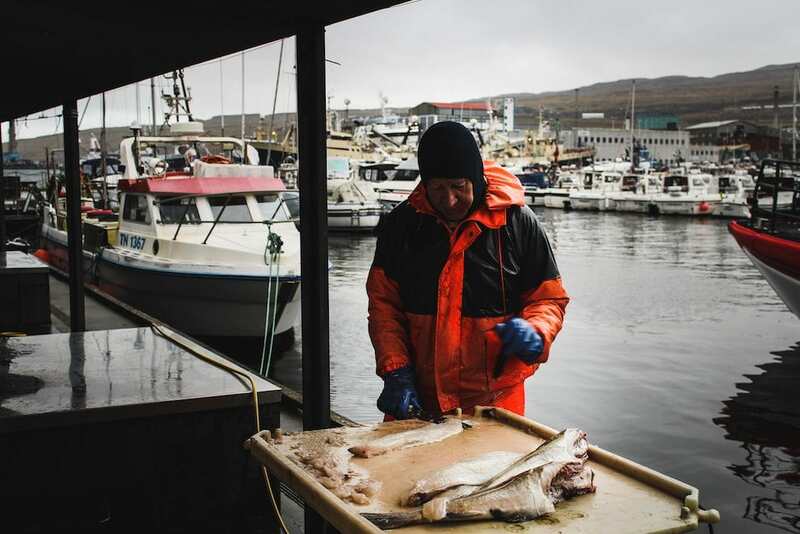 It was also really exciting to see how big of a role fishing plays in a local’s life given that fishing is a multi-billion dollar industry for the Faroe Islands. Unfortunately, the Faroes are a bit too south and have a bit too moody of weather to make the destination a prime spot for Northern Lights spotting. That doesn’t mean it is impossible, as many photos will indicate, but don’t plan a trip there for northern lights hunting or you may end up disappointed. With that said, plan that out-of-season trip anyway and just keep your fingers crossed. The lack of tourists and unique landscapes of the Faroe Islands during the cooler months are well worth it! Click here for my Faroe Islands photography guide. The famed, woolen Faroe Islands sweater is extremely sought after by tourists and Faroe Islands enthusiasts. Unfortunately, if you’re on a budget, they ‘don’t come cheap’. One of my dreams years ago was to own a Guðrun & Guðrun knit from the Faroes, but it definitely wasn’t in my price range while I was visiting the Islands. There is obviously no guarantee that second-hand shops will have any sweaters in, but it is worth a shot as you may score a hand-knitted gem for a meager amount. When you’re in Torshavn, ask where the thrift stores are. We found various ones and some seemed to be closed most of the time. The only one that stayed open while we were there was a Salvation Army down by the harbor area. There is also rumored to be a second-hand shop in Klaksvik that sells Faroese wool, but I don’t have any definitive information on it. The islands are so small and the people are so extraordinarily friendly that they will most certainly do their best to guide you there. If you do purchase brand new, don’t forget to ask for tax-free as you’ll be refunded 15% once you leave the islands! Bringing your own clothes to the Faroes? 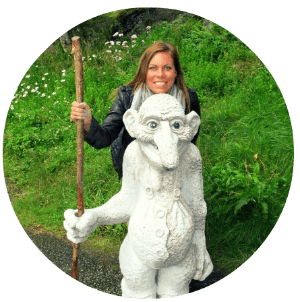 Click here to check out my Faroe Islands packing list. Set out early! I was there in March and there was no one on the road. However, we kept commenting on how horrible of an experience it would be if it had been high-season. The road is small, often one-lane, and windy. It also doesn’t help that the landscape of the Faroe Islands is a permanent postcard that just makes you feel compelled to stop every five minutes and take pictures in awe of its beauty. It took us ages to get out to Saksun and mostly because of the frequent stops to admire the beauty. I can’t imagine doing this with larger vehicles on the road or just more cars in general. 17- Leave the House in Saksun Alone! There is a house in Saksun that belongs to a farmer that is the image that comes to mind when people envision Saksun. Yes, the one that stands all alone with the grass roof. I am not even going to put a photo of it here as it is kind of contradicting to what I am about to say. The guy who resides there doesn’t like when you trample across his land. He doesn’t like it when you peer in his windows. He also probably doesn’t like your Instagram photo shoot that you’re about to do beside or in front of it. Leave it alone. There are plenty of spots to photograph in Saksun, so long as you do it respectfully. It is getting so bad and people are becoming so disrespectful that his privacy feels invaded and it may not be free or easy to get to Saksun in the future. Don’t let your Instagram photo shoots ruin it for the rest of us- please. There is a reason that someone chooses to stay out in this beautiful part of Streymoy in solitude among the pristine nature. Just have some respect. There are waterfalls that will be awesome backdrops for your photo shoot, anyway. I promise. I am pretty sure this isn’t permitted anyway, but we switched the automatic lights off temporarily when waiting for a ferry. The only problem? We forgot to switch them back on. Once we hopped off of that ferry, we immediately entered a one-lane tunnel to go up to Muli and we wrecked in the tunnel instantly. Yep, we wrecked our car in the Faroes. I was unsure about what happened and thought it was a failure on behalf of the car itself and that those lights ended up turned off as a fault. Turns out we had turned them off and never flipped them back on. That was a pretty expensive mistake to make. 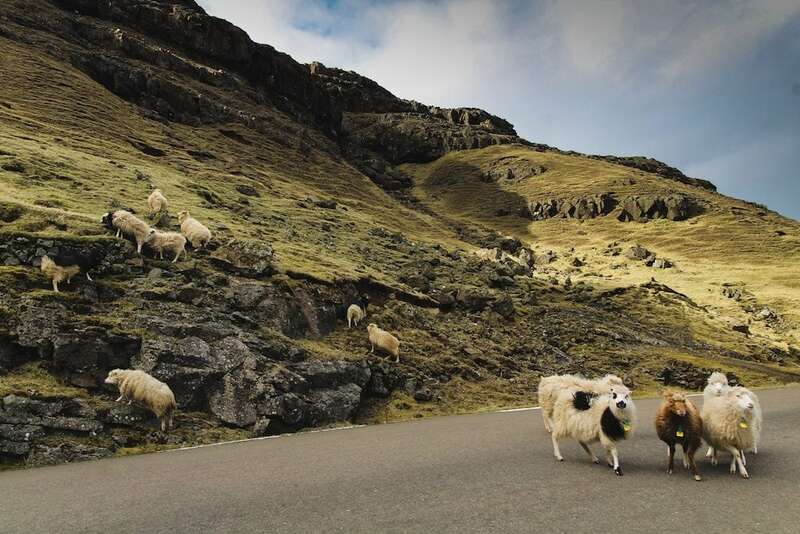 Our car rental in the Faroe Islands was really easy to work with despite our wrecking of the vehicle. If you’re looking to hire a rental, definitely check out Unicar.fo. Some people had less than desirable experiences with them because they probably are not used to family run, local businesses and didn’t score the same amenities as Hertz, but I had a great experience, AND wrecked a car with them- so I basically got the full package and experience with them. Plus, they are hundreds of dollars cheaper than competitors. Unless you wreck the car of course. Then it’ll even things out a bit. The landscape is outrageously grandiose and you will feel so humbled and small- but to morph that feeling into photos, you really do need a wide angle lens. I used an affordable Canon 10-18mm which worked perfectly for the landscape as I’m not a professional photographer and didn’t need anything more than that lens and my other standards. I was very happy with the results and can definitely recommend the lens to those with a cropped sensor camera. You can check out the lens and its cost here. If you’re into bird photography, I also suggest bringing a zoom lens that fits your camera. You can see a recommendation of mine at the end of this post. Zoom lenses in the Faroes are also good for stalking the other islands as you can almost always see other islands from where you’re standing! If you’re looking to go to Skuvoy or another lesser-visited island during the low-season, you are best off giving a call to order that ferry. The fare isn’t extra, but they simply don’t need to run it otherwise. Be sure to get familiar with SSL’s website to figure these things out far ahead of time. Trust me, you could end up stuck on Sandoy waiting on a ferry to Skuvoy and you may have a panic attack when it doesn’t read your mind to show up and haul you over to the island. While that probably worked out in our best interest as a massive storm rolled in, it could have been easily avoided. For more information, including ferry schedules (where this information will be stated below each schedule), head to Strandfaraskip Landsins website where everything is noted. This is a small ferry. I am not sure if they bring in a larger one during summer season or high-season, but our ferry was very small and only fit a handful of cars. Quite frankly, Kalsoy doesn’t have the infrastructure to handle many cars and people… so don’t think they will make an exception for you and run a ferry over just because you couldn’t get on it. 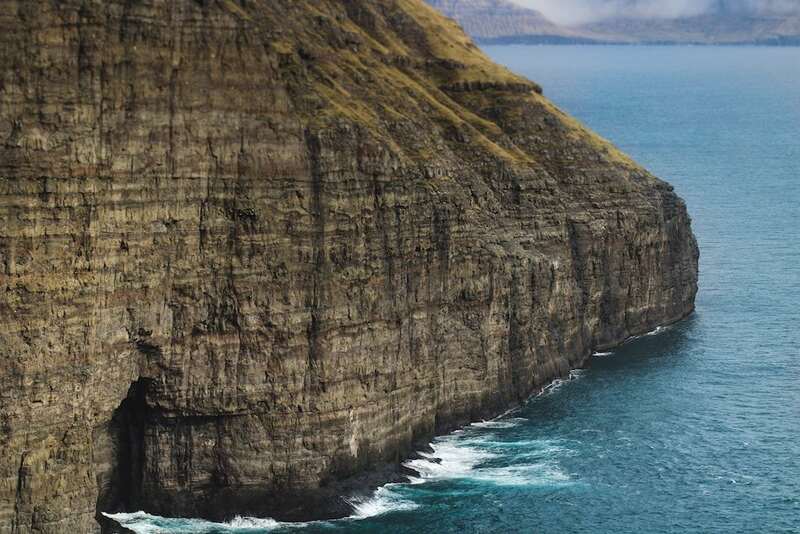 As Faroe Islands tourism increases, so will the demand to get to Kalsoy for the famed lighthouse hike and photograph. If this is seriously on your list, arrive early to the ferry and wait. Kalsoy is worth it, after all. Duh? I mean, I know this, but I never really consider the effect of rain on waterfalls. 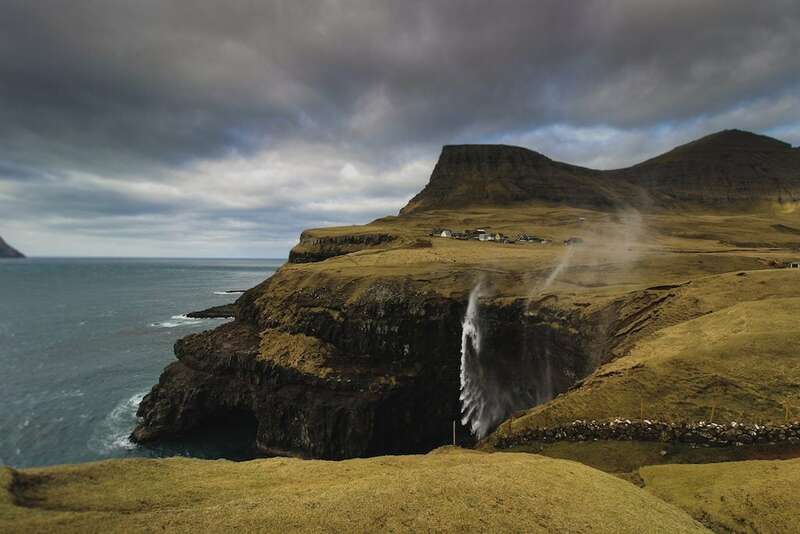 The Faroes don’t get an overabundance of snow, but they do get plenty of rain, and it keeps those waterfalls gushing for our delight most of the year. But not always. One thing I was really looking forward to in the Faroe Islands was checking out Fossurin í Fossá, one of the largest waterfalls in the Islands. It is situated on north Streymoy in Sunda Kommune and is a major attraction. We were driving back from Tjornuvik to Gjogv via Eidi on Eysturoy when we tried finding this waterfall. I knew it had two cascades and was hard to miss as it is large and powerful. We scoped out the drive and couldn’t find it. We eventually gave up. Once we got to the other side of the water, on Eysturoy, we spotted it across the sea. It was hardly a waterfall and it became really evident that this natural wonder needed a little fuel behind it to put on a show. Oh well. We got a photo, but it’s poor quality and rather a shame we didn’t catch it from close by! Gas is cheaper in the Faroe Islands than it is in many other northern and western European countries, including Denmark. And, as distances are closer than meets the eye, you may not need to get gas often. We were in the Faroe Islands for about a week and filled up once at the end. That was it- and we saw more than most people do during their trip. I was traveling with people from England and they made remarks about how much cheaper the petrol prices in the Faroe Islands were compared to where they live outside of London. So, there’s that. If you’re American and traveling to Europe– do know that gas prices vary widely in different destinations… the Faroes is no exception! If you grab a map in the Faroe Islands, you’ll notice little flowers dotting the map along certain roads. These are called “Buttercup Routes” and will guarantee spectacular views and scenery. 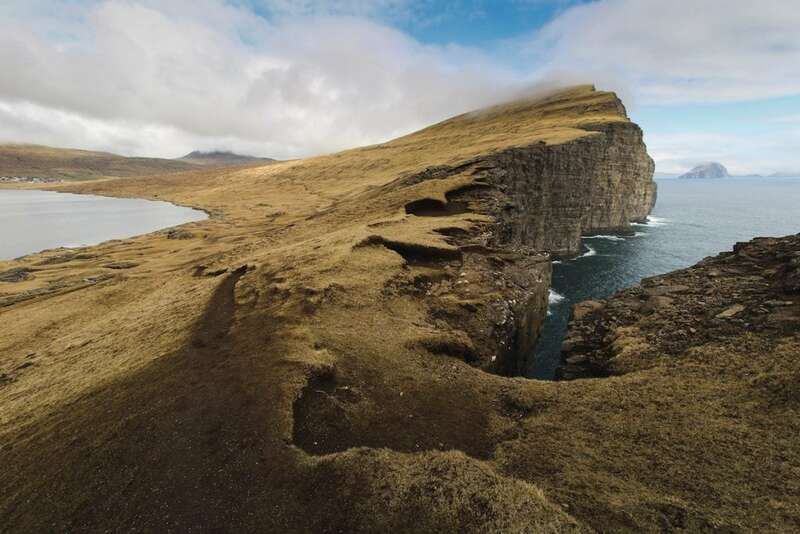 I had done no planning for my Faroes trip before I actually arrived in the Islands and I was glad I hadn’t as I didn’t know these routes existed. The map basically planned it all out for us. Roadtripping in the Faroes is fairly easy anyway as not many roads connect places, but to have a map indicating which roads would offer the best scenery was particularly useful. You can pick up a map with the Buttercup Routes at the tourism office or at the airport upon arrival. Don’t forget to do so! I actually don’t know how many locals consume fulmar eggs on a regular basis, but I have seen many programs that have talked about this on television, and it left me pretty intrigued. While I am an avid egg lover, I tend not to do well with eggs that don’t come from a chicken or quail. So, I’m not sure if I’d be up for trying this, but I have heard that people have made curries from these eggs… perhaps I’d give that a go. To read more about a harvest of fulmar eggs on Skuvoy, click here. They also have a history of harvesting seabird eggs on Suduroy. The Islands have their own currency and it has pictures of very Faroese things on it! I have a bill with Tindhólmur on it that I saved from my trip to the Faroes. 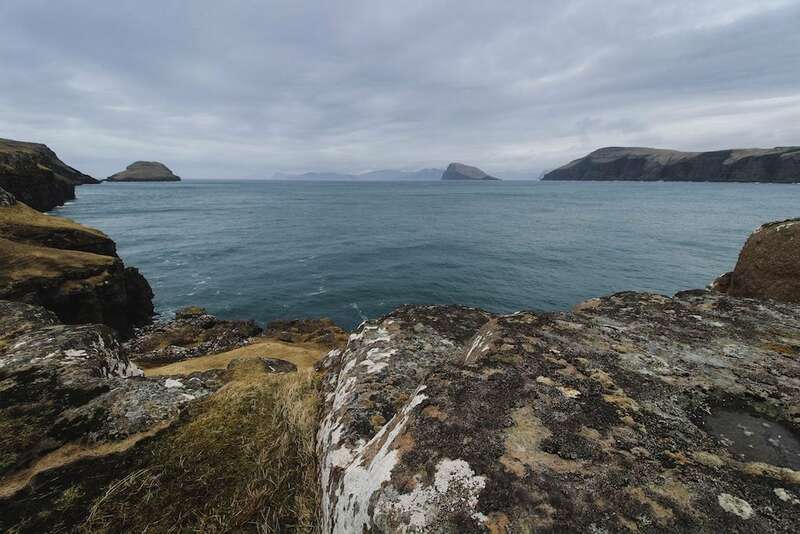 You are able to use Faroese Krónur or Danish Kroner when on the islands and you obviously need to get rid of any of the Faroese money before leaving the Islands as you’re unable to exchange it elsewhere. But, save some. It is kind of cool to keep a bill or two! You can get Faroese Krónur from an ATM or see if someone will give you change when shopping there in Krónur. The rate is on par with Danish Kroner, so you don’t have to convert it to something else. My favorite bar in Torshavn was Sirkus. The bar is located at Vágsbotnur in the heart of Torshavn by the harbor. I went there every night that I was in Torshavn for a drink and some music. The bar celebrates all things art, music, and culture. The owner is named Sunneva and she used to work at a place of the same name in Reykjavik. Once that place closed down, she realized the need for a place that accepts everyone with an open-mind in Torshavn, and the rest is history! I found comfort here as I smelled Indian food (they cook vegan and veggie Indian food in the kitchen), could enjoy local beers, listen to live music, and everyone seemed to enjoy themselves there. One thing to note about Sirkus is that it was opened as a safe haven for people to be who they want to be. While the Faroe Islands can be progressive and accepting in some manners, there is still some resentment toward the LGBTQI community there and Sirkus offers a refuge to those people. For this reason, photography is not encouraged inside of the bar. I think Sunneva is brilliant. In addition to the tasty beers and the carefree atmosphere inside, on the first floor is Bjórkovin, or the beer cove. This is the first bar in the Faroe Islands to specialize in craft beer and they offer an array of beers from Iceland in-house. I had a blast there enjoying some Icelandic brews by the friendly Frenchman who worked behind the bar. To learn more about Sirkus Bar and how integral its role in the community is, check out their Facebook page. Therefore, rides are cheap. BUT- these helicopter routes were created for the residents of the islands, first and foremost. You’re not even able to book a roundtrip ticket on them. You also can not reserve a spot on one more than two months in advance. Helicopter is a viable way to visit some of the more remote islands and the ones that present more difficulties to visit, but be respectful and don’t use them as your primary means of getting around the islands. To see the current 2017/2018 helicopter schedule with Atlantic Airways, click here. This isn’t always true of course, but if you are staying in Torshavn near the water and you get your groceries or snacks closeby as it is ‘convenient’, you’re probably paying a bit extra. We stumbled upon Mylnan and immediately started doing all of our shopping there. We found it really expensive, but it was high-quality food, so we never thought to seek out an alternative. Eventually, after walking around Torshavn more, we found another shop and it was a drastic difference in price. We also shopped at a few Bonus grocery stores on the road and they were pretty affordable too. In the end, we kept going back to Mylnan because the bakery is awesome (that is their specialty) and the fresh orange juice is to die for. In addition, coffee is so expensive in the Faroe Islands. If you’re an avid drinker like me, I recommend you bring a coffee kit with you or ask your hotel if they have it for free or for an affordable price. But if you’re really keen on supporting a local cafe (you should! ), I highly recommend Brell Cafe which roasts their own beans and serves tasty coffee to locals and visitors! 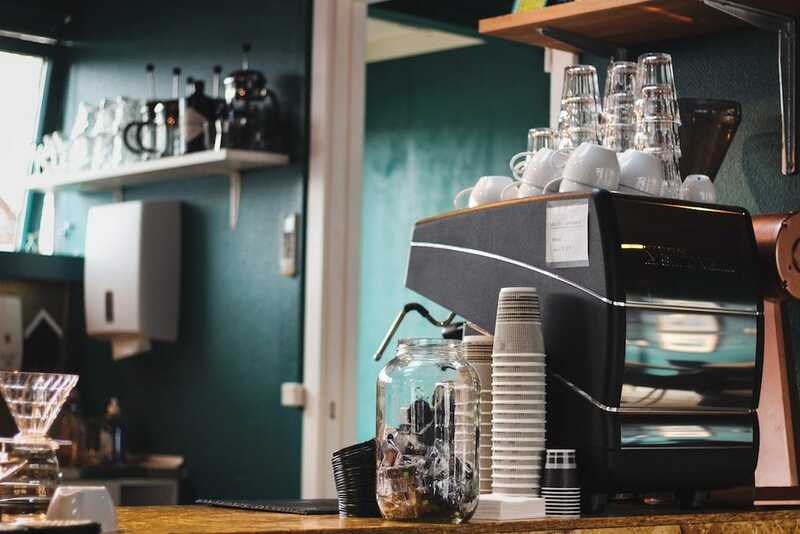 You can learn more about Brell Cafe here. It’s your fault if you hit them. If you do, contact the police in Torshavn immediately at 351448. As cute as these little animals are, they will inevitably strive to block your drive at some point or another. Be patient and take a photo of them instead of honking or trying to get them to move. They will eventually get bored of you and move elsewhere. One question: do you need cash or do they take cards everywhere as well? 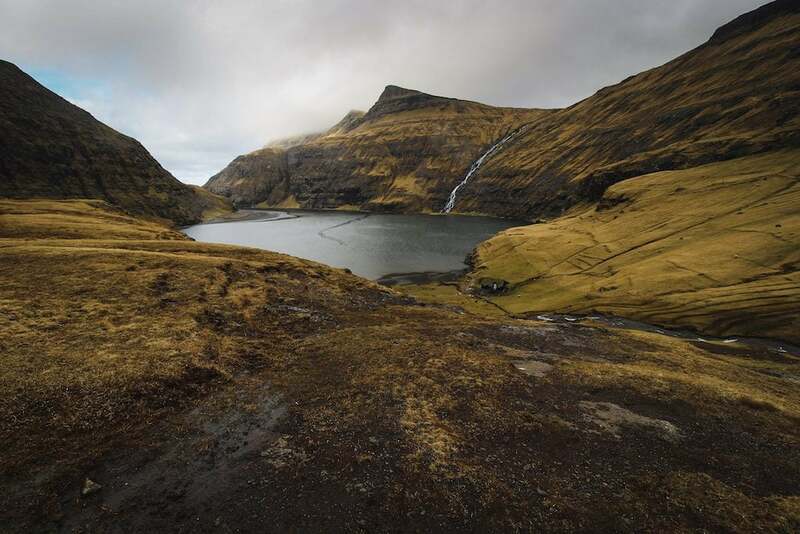 When I was in the Faroes some locals were complaining about fewer and fewer waterfalls coming down – a lot of the rainfall actually gets diverted into hydroelectric power plants now and the waterfalls are reportedly noticeably weaker than before. Interesting that you noted the fact, too! Can’t blame anyone though as the Faroes are not interconnected with anywhere else and have to be self-sufficient for electricity. Hearing you can hop over fairly easily from Iceland makes this sound so much more accessible and tempting! I can get to Iceland very cheaply via WOW Air at BWI…now I’m moving this up my list. I am going to Nolsoy, Any thoughts? Excellent list! Thank you for putting it together. We are visiting the Faroes soon for 10 days and I have researched the heck out of it while still leaving room for spontaneity, But your list nicely rounded out my knowledge base.